The combination pack includes four sticker sets for the price of two. Master all of the fundamental minor scales. 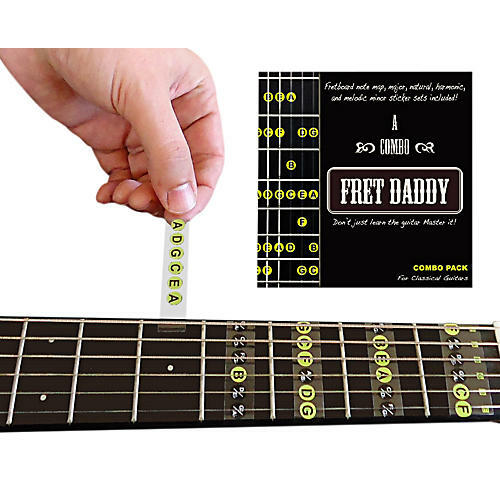 If you need to learn the names of the notes first, the fretboard notemap is included as well.